This shop has been compensated by Collective Bias, Inc. and its advertiser. As always, all opinions, ideas, and recipes are my own. Please Enjoy Sobieski® Responsibly. #CreateYourCocktail #CollectiveBias The following content is intended for readers who are 21 or older. You guys. I finally got a blender. It was a gift from my in-laws for my birthday, and I’m so incredibly excited about it. It’s one of those things that I always meant to buy, but it seemed a lot easier to borrow my mom’s or use my food processor instead. 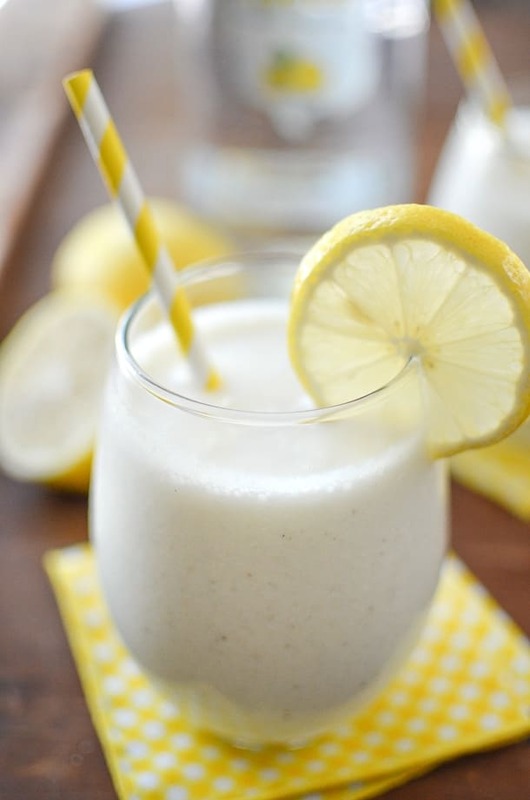 Yes, all of those blended drink recipes I’ve made in the past – my strawberry colada breakfast smoothies and my apple kiwi green smoothies were made with someone else’s blender. is amazing. It even does single serving containers, so I can make Ellie a breakfast smoothie or even whip up some homemade ranch dressing without having to clean an entire blender. 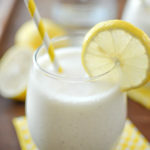 So of course, we’ve been going crazy making smoothies and margaritas, and even frozen pineapple lemonade cocktails. It’s been so much fun. 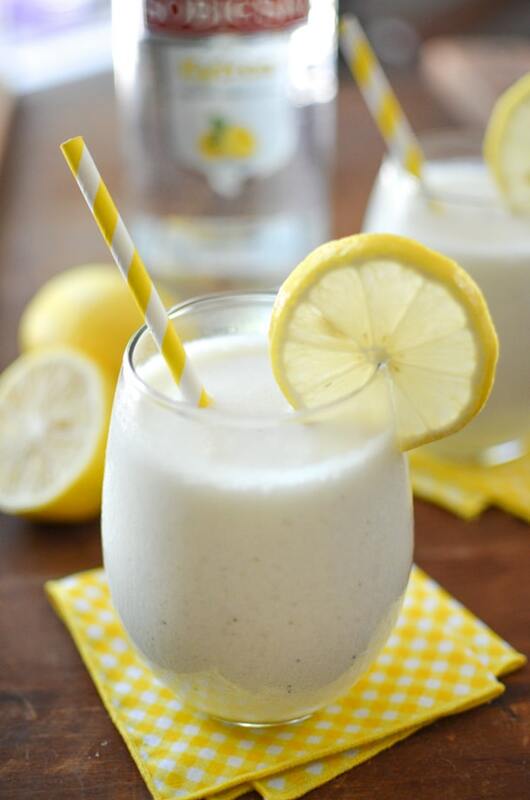 These are inspired by this frosted lemonade copycat recipe, but this is a grown up version made with SOBIESKI® 100% Pure Rye Vodka. 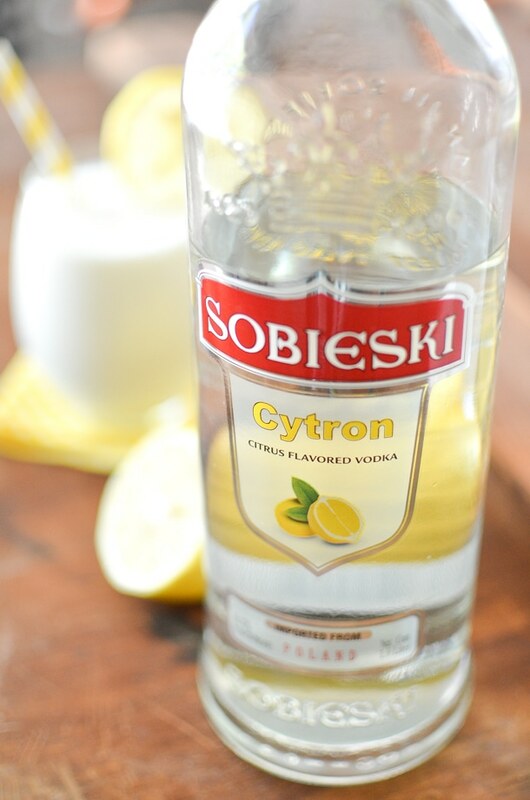 We used the cytron flavor to enhance the lemon flavor, but you could easily use the plain vodka instead. SOBIESKI® 100% Pure Rye Vodka isn’t made from potato or wheat like most vodkas. It’s actually made from 100% rye – just like the name suggests. It’s the most popular brand of rye vodka in the country. In fact, it won double gold medal at the 2016 San Francisco World Spirits Competition. And, it’s not even expensive. Isn’t that great? Plus, there are so many flavors. I love the cytron flavor, but I am definitely trying the karamel next. How good does that sound? 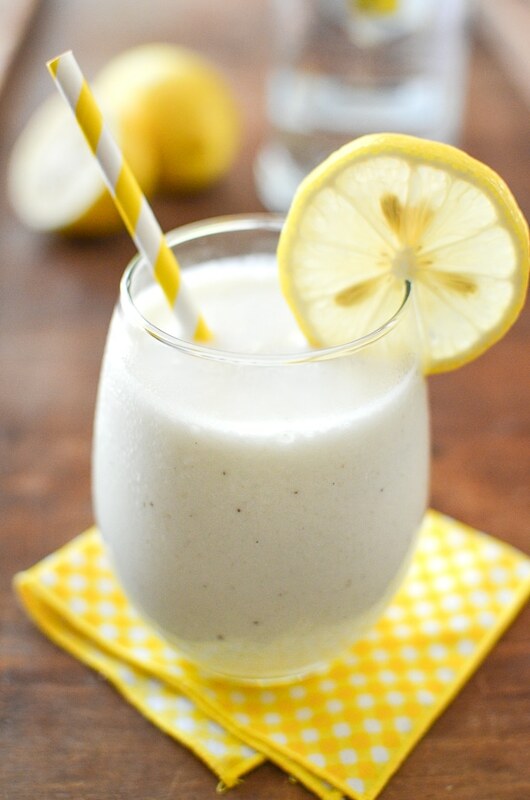 I know this cocktail seems a little bit summery, but I promise it’s so good. You should totally wrap yourself up in a cozy blanket and enjoy this by the fire. You can pretend you’re lounging in the sun by the pool. It’s totally worth it. And, if you’re really against unseasonal drinks, try pinning it for next summer. Want to a $100 gift card? Come up with your own cocktail, using Dole® Pineapple Juice and SOBIESKI® 100% Pure Rye Vodka, and share it with the hashtag #SobieskiAndDoleContest. Find the all the legal rules here. If you’re planning on trying this cocktail out for yourself, you can find a coupon here (accessible via mobile only). You can also find out more about SOBIESKI® 100% Pure Rye Vodka on their Facebook page. 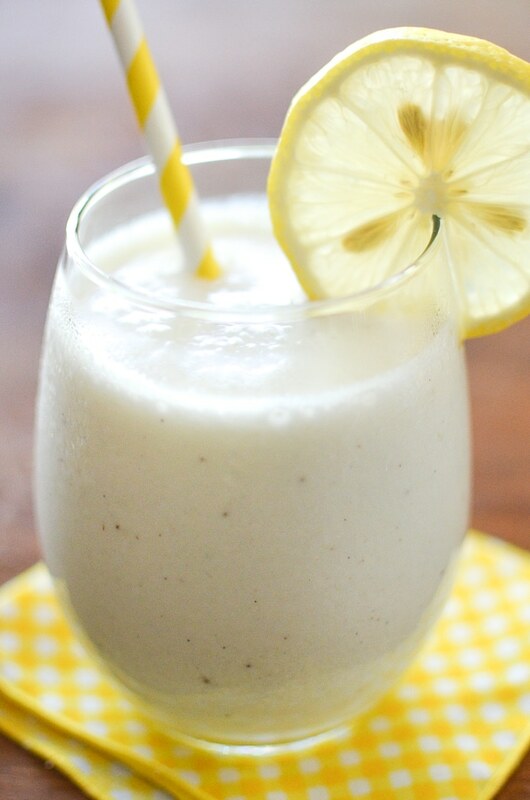 In a blender, combine all ingredient and blend until smooth. Pulse to break up any large ice chunks. Divide mixture between 4 glasses and garnish with lemon slices.